Oh these gorgeous bebes are my new favorites. 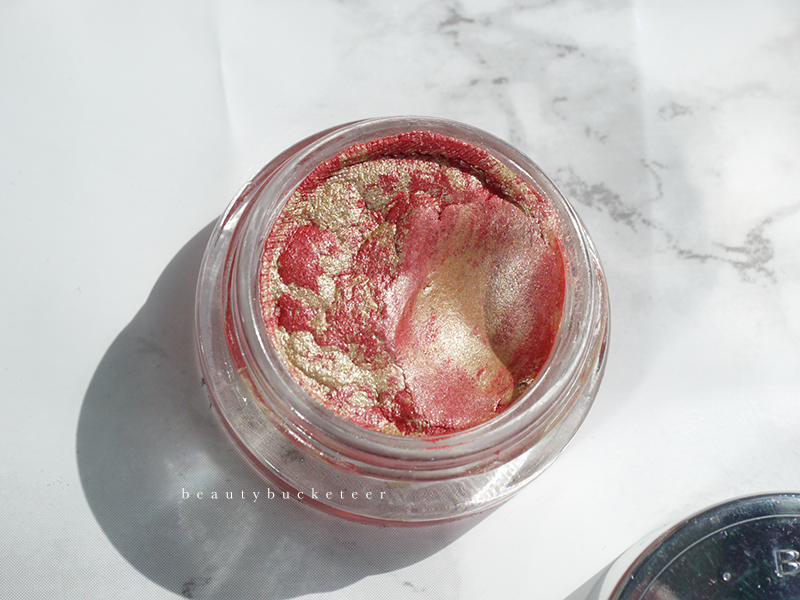 Spoiler alert: the Becca Mineral Blush in Flowerchild will make an appearance in my September Beauty Favorites post! I received these from RY.com.au last month so I’ve had more than enough time to play around with these and experience wearing them. I’m going to start with the Becca Mineral Blush in Flowerchild. The shade Flowerchild is a peachy pink, medium, rosy pink with gold micro shimmers. You won’t be able to visibly see the shimmer particles though as it’s very fine and has the effect of making the skin look luminous. It suits my neutral skin tone so well! The color reminds me Too Faced Love Flush’s Love Hangover and MAC’s Petal Power, but this is less sparkly. It actually looks very natural on the skin. 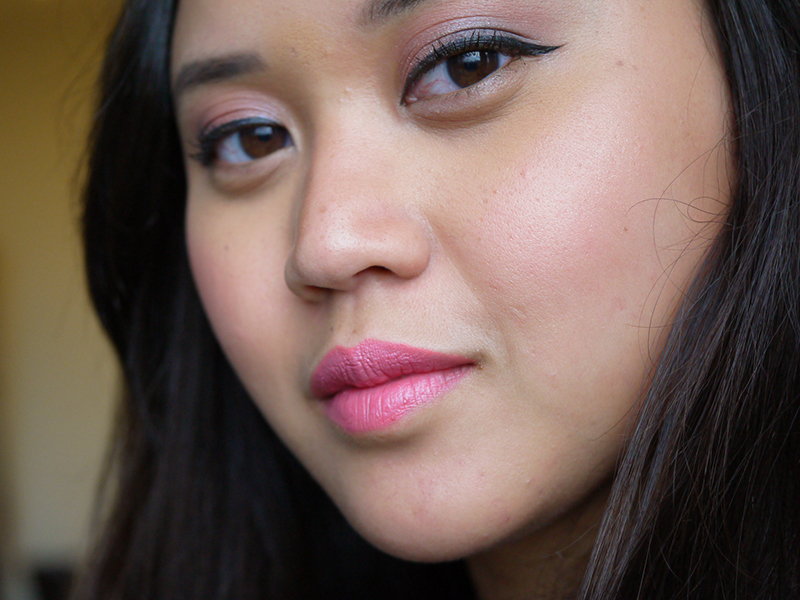 This is practically a matte shade with tiny, subtle golden shimmers. One of my favorite aspects about this blush is that it’s not overly powdery like most pressed powder formulas. Application is so neat and smooth with no patchiness or fallouts whatsoever. This shade is also very buildable so if you have darker skin, feel free to add more layers to make the color pop out more! 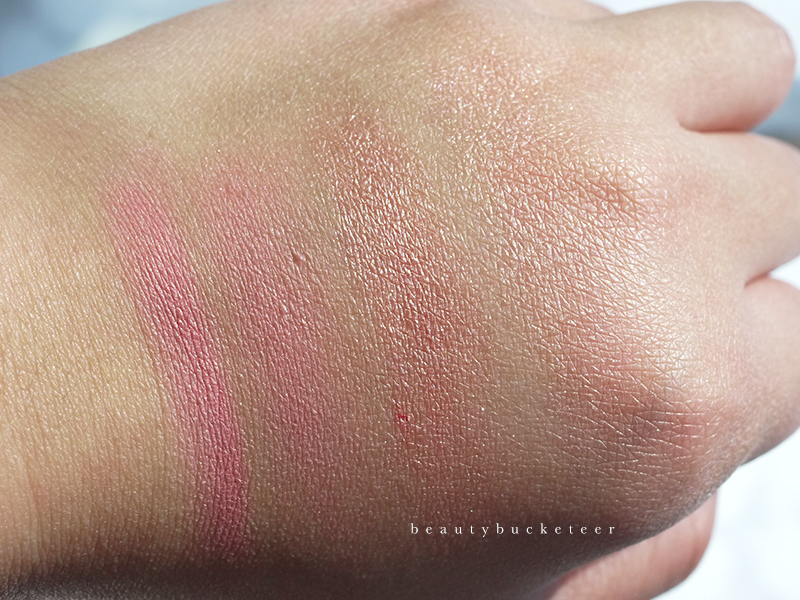 L – R: Becca Mineral Blush in Flowerchild (L: heavy swatch, R: blended) and Becca Beach Tint Shimmer Souffle in Watermelon/Moonstone (L: heavy swatch, R: blended). Longevity-wise, this was vibrant on the skin up to 8 hours, and will slowly fade away by then. However, color remains until I remove my makeup at the end of the day, which sometimes could be 12 hours after application! One thing to note is that while the packaging is exactly the same as their highligters, this is actually smaller in size. Will post a side by side comparison photo soon! Doesn’t matter though, the product itself is still amazing. I honestly have been wearing this most days and it’s fastly becoming my favorite blush of all time. Perfect shade for my skin tone, incredibly smooth formula, great longevity and it gives the cheeks a natural, flushed look. I am obsessed! 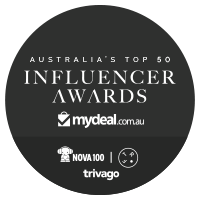 This retails for AU$50 but is available at RY.com.au, Australia’s largest online haircare & beauty store, for AU$40. All in all, this product is definitely a 5/5 and a must-have for me! Now, on to the Becca Beach Tint Shimmer Souffle in Watermelon/Moonstone. 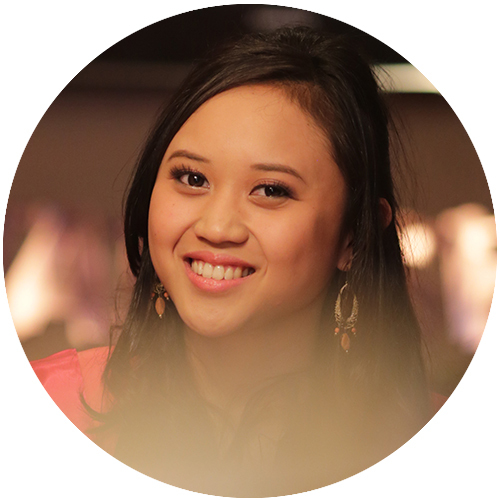 I remember being so intrigued when I read Tasha a.k.a Shiwashiful’s post on it (check it out here!). I just had to get it when I read her review. The idea behind their Souffles is that they’re a combination of their Beach Tints and Shimmering Skin Perfectors. This particular Souffle is a combination of their “Watermelon” Beach Tint and “Moonstone” Shimmering Skin Perfector, hence the name “Watermelon/Moonstone”. The combination of the two creates this gorgeous marbled effect on the product. It comes in a small glass jar with a screw top lid and is so easy to travel with because it’s so sturdy and it won’t break easily. I actually traveled with this when I went to the States – it endured the crazy multiple plane rides, I’m relieved! The formula is very spongey and fluffy. 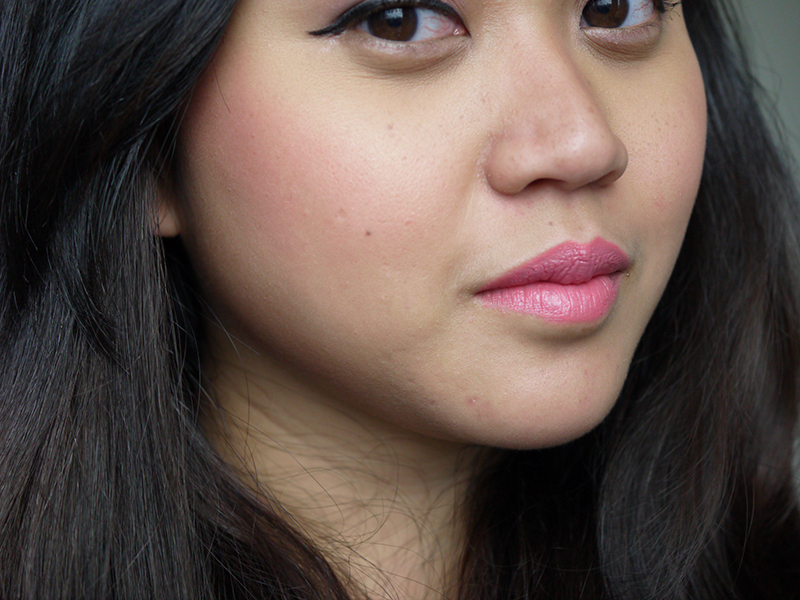 Much fluffier than the Colourpop blushes, which I’ve reviewed here. It’s very squishy but it isn’t creamy like most cream blushes. It actually applies pretty dry, much like a cream-to-powder formula. I love that it’s a blush and highlighter in one, but the problem I have with this is when I try to build up the color, I end up with more shimmer (of course, because the blush and highlighter go hand-in-hand with this product!) which is a bit problematic. So I can’t apply more of the just the blush, which is why I would sometimes add the Flowerchild blush underneath just to add a bit more color when I need it. Another thing that bothers me is that the shimmers can be a bit overwhelming, so if you’re looking for a blush/highlighter that would give you a natural glow, I don’t think this is the product for you. However, this would be amazing for special events and nights out! 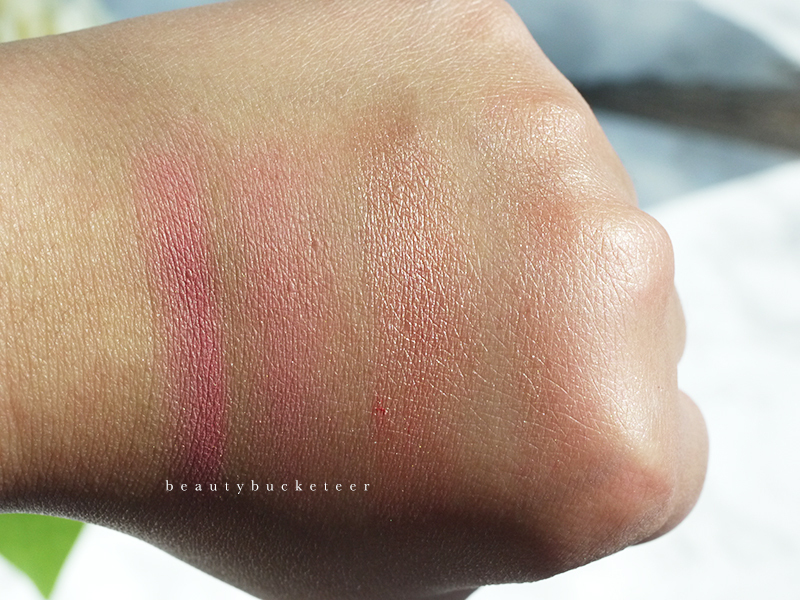 Longevity wise, it doesn’t last as long as the Flowerchild blush, but the color definitely lasts more than 6 hours. The shimmers will fade out a bit sooner, which is actually great because you’ll be left with more of a glow than a shimmer-fest. This retails for AU$41.90 but is currently AU$33.52 at RY.com.au. As beautiful as it looks on the pan, I’m giving this a 3.5/5. Have you ever tried any of these products? Let me know what your thoughts are! Disclaimer: These products were sent for consideration, however all opinions expressed are unbiased and of my own. No commissions are received from purchases based on this review.